Mass Effect 3 is an upcoming action role-playing game developed by BioWare and published by Electronic Arts for Microsoft Windows, PlayStation 3 and Xbox 360. Officially announced on December 11, 2010, the game is scheduled for a March 6, 2012 release and will mark the final chapter in the Mass Effect trilogy of video games, completing the story of Commander Shepard. Gameplay in Mass Effect 3 will be influenced by decisions from Mass Effect and Mass Effect 2 and have settings throughout the galaxy, including Earth and Mars. Combat has been changed and refined; in particular, the cover system has been improved, there will be more options for moving around the battlefield, instant melee kills and more conventional grenades will be introduced as well as improved artificial intelligence. A four player multiplayer co-op mode will also be available. Mass Effect 3 will follow from the events of the Mass Effect 2 DLC expansion Arrival and follows Commander Shepard's mission to save the galaxy from the Reapers by rallying civilizations of the galaxy together, while also having to deal with Cerberus, who have decided to turn against him/her. As a sci-fi fan, this game is very much worth it. The story throughout the 3 games is great and enjoyable. The gameplay in this is far better than mass effect 2 but the ending may disappoint some fans (no spoilers). A must have RPG game. Le meilleur épisode qui vient cloturer de façon magistral la meilleure franchise de jeux video du monde ! Indeed, a must have ! One of the most (if not THE most) emotionally entangling game of the last 10 years. If you&#39;re into scifi, your should really play this amazing one-of-a-kind game. An easy 14/10! 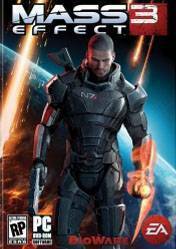 Last game in the Mass Effect series, a must have for sci-fi fans!